Thirty six years ago a man who made knives, shower curtain rods and kitchen cabinet accessories in his garage set out to make his first handgun. What he came up with some would say is the best handgun ever produced. Log into any gun forum and you will see lovers and haters going at it. What caused this man who was in his 50’s to decide to suddenly thrust himself and his family into the firearm manufacturing business? In the early 80’s the Austrian military was in the process of selecting a new handgun for their troops. 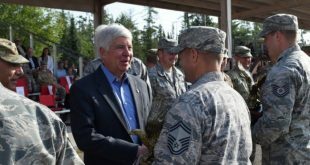 Gaston Glock had already been supplying the military with knives and ammunition links when he overheard a couple generals talking about the selection process. Gaston felt he could create something better than anyone else and asked if he could submit a design. Yes, in 1982 the Austrian military selected the Glock 17 as their new handgun. It has been a roller coaster ride ever since. By 1984 Glock was a household name here in the United States of America. Gaston’s creation quickly became the handgun of choice for 65% of our police departments. 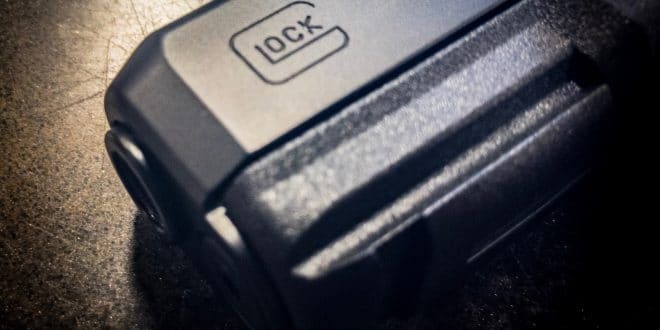 Not only have small local departments flocked to the Glock, the FBI, Secret Service, Navy Seals, and Army Rangers have now chosen Glock as their sidearm. Glock pistols have made their way into the hands of people all over the globe. Currently 35 countries have adopted them for their police and military. Basically Glock’s pistol took the firearms market like a category 5 storm. It is estimated there are over 5 million Glock pistols in private hands here America. Glock has 19% of the market compared to Smith & Wesson’s 16%. Gaston has always strived for perfection in all of his company’s products thus the introduction of the Generation 5 Glock 17 and 19. The price tag of the Gen 5 hovers slightly above that of the Gen 4. A quick check of local stores found them priced anywhere from $608 to $678. So what do you get to justify the extra cost? 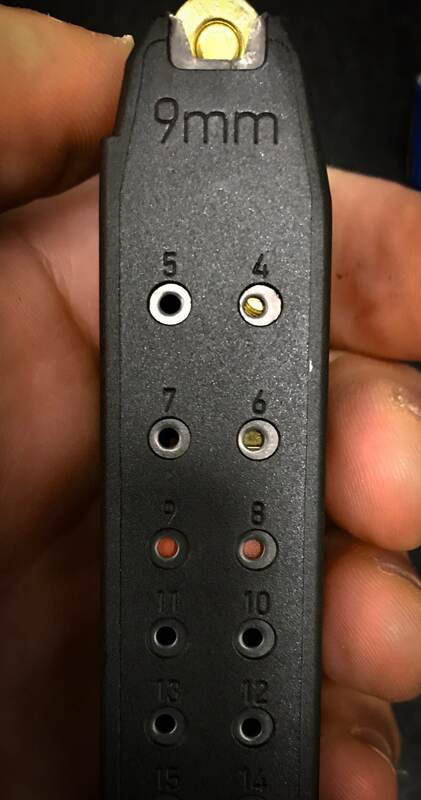 First off most Glock fans will rejoice at the lack of finger grooves on the Gen 5. Gen 3 and 4 Glock pistols have had finger grooves molded into their grip which alienated some with little hands and big hands. Glock’s decision to remove the finger grooves is a solid one as it will fit more comfortably in more people’s hands. The new Glock also sports a new ion bond finish called “nDLC” which gives it a darker color and adds to its scratch resistant. The new finish also aids in lubricity of the slide for more reliable feeding and cycling. Glock listened to its fan base and included an ambidextrous slide stop. No more fumbling with your non-dominate hand to function the slide stop. 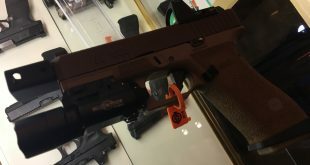 We also get a flared magwell, new sight options and a smoothed out the muzzle to aid in holstering. Internally there are numerous changes starting with new rifling in their barrels, smoother trigger, and a more reliable takedown spring to name a few. In all there are over 20 changes to the Generation 5 Glock. So what do all of these modifications mean? Well according to Glock the Gen 5 is more reliable, more accurate, fits better in your hands, and it is lighter. I had to get my hands on one to see for myself. 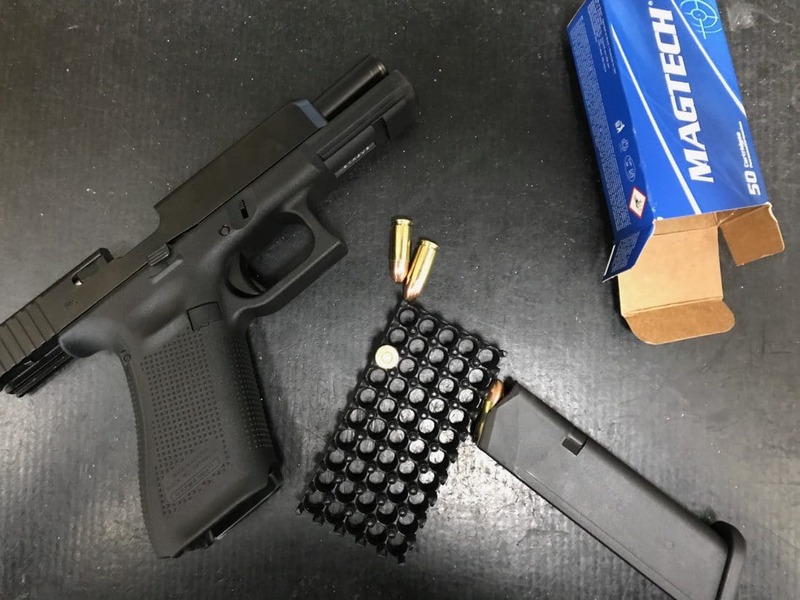 I stopped at Freedom Firearms in Battle Creek and there I was able to run the Gen5 G17. 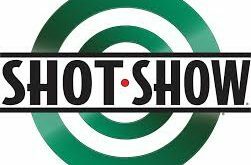 I ran one box of ammo through it on their indoor range to see if it lives up to all the hype. Right away I notice the orange magazine follower allowed me to quickly asses how many rounds I had loaded into the magazine. The grip felt good, but then again I thought the Gen 1,2, 3, and 4s felt good as well. I personally never had an issue with the finger grooves on any of my Glock pistols. The grip texture is the same as it was on the Gen 4. It fit in my hands exactly the same as the Gen 4. The slight flare of the magwell was hardly noticable and did make it slightly easier to load into the gun. Glock Gen 5 sights look the same as on previous Glock pistols however instead of seeing the basket and half of the ball you now can see the full ball. Glock must have made the cut in the rear sight a little deeper allowing for better acquisition of the front sight. The trigger on the Gen 5 is much improved over the previous generations. Gone are the ribs of the Glock 19 trigger, we now get the same trigger texture previously only found on the larger frame Glock pistols. The stiff wall that was difficult to smoothly pull through has been replaced with a much softer wall that can be smoothly pulled through. It reminded me of how a Gen 4 feels with a Ghost connector installed. 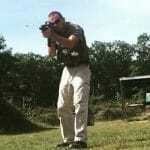 I then fired the remaining rounds rapidly into the center of the target. Recoil was very manageable, not too snappy. My rapid fire group size was 2.5″. Not bad for the first time out. I think with a little more time on the trigger I could easily get the group size down to an inch or less at 7 meters. 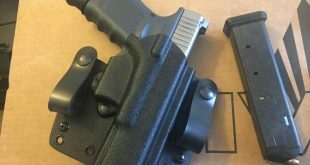 So is the new Generation 5 Glock 19/17 a must buy? For me yes, I currently own a Generation 2 Glock 23 and two Generation 3s; a Glock 17 and 19. 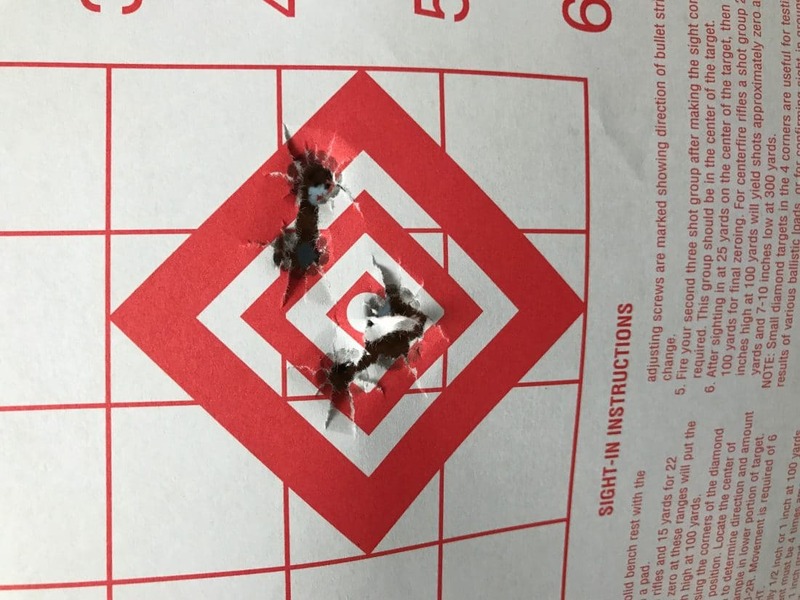 The differences in accuracy and shoot ability of the Gen 5 was apparent at the first pull of the trigger, this alone is enough to justify me buying a New Glock. If I had the Generation 4 Glock I may not be as quick to make the jump as the enhancements from gen 4 to gen 5 do not justify the cost for me, the pistols preform to closely. Now I just have to figure out how to justify to my wife that this Glock is different and better than the ones I already have and that I need to keep all of them.